Olympus and Panasonic mirrorless camera is a pioneer, but now they compete with each other, and at the same time compete with famous brands such as Sony, Samsung and Nikon, Canon even that eventually also make the Canon EOS M.
Olympus has launched an entry level camera Pen Lite E-PL6 against the Panasonic Lumix DMC-GF6. Olympus promises a compelling image quality such as the Olympus OM-D E-M5. 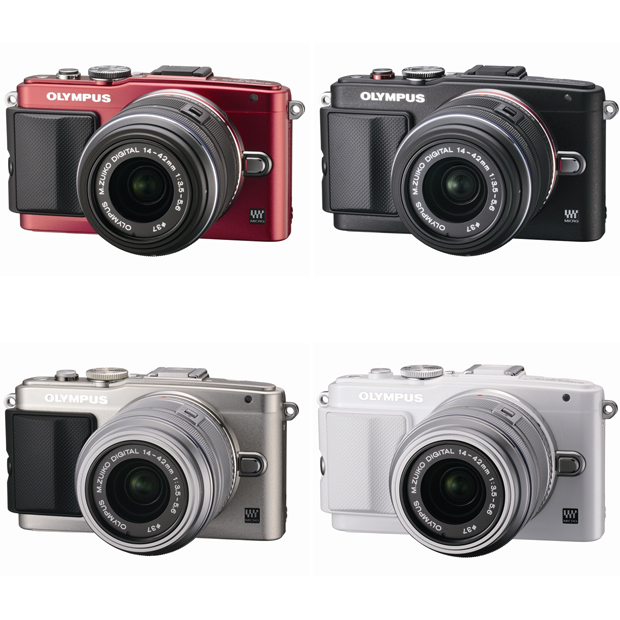 Olympus E-PL6 also features twelve Art Filters and a screen that can be rotated 170 degrees. Olympus E-PL6 comes with a 16 megapixel Live MOS sensor and TruePic VI image processing engine as on the flagship camera Olympus Pen E-M5 and E-P5. However, E-PL6 not equipped with 5 axis image stabilization. Do not worry, because like all Micro Four Thirds camera from Olympus, the E-PL6 comes with integrated image stabilization. 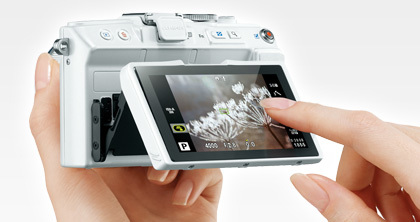 The capacitive touch screen on this camera now comes with touch shutter AF. Thanks to shutter the AF feature; it lets the user adjust the screen to focus and take the picture. Unlike the GF6 Panasonic, Olympus E-PL6 apparently not equipped with features Wi-Fi. You must use a SDHC memory card Toshiba FlashAir which has been equipped integrated Wi-Fi to share a picture with a mobile device. Although E-PL6 is entry-level class camera, but still surprising because without the Wi-Fi feature. Olympus Pen Lite E-PL6 variant comes in silver, white, black and red and is available in two kit lenses that M.Zuiko Digital 14-42 mm f/3.5-5.6 and 40-150 mm f/4-5.6 IIR R. Is this camera will be able to compete with the Panasonic GF 6? You are the one who will decide who will be the winner.